The LACOURTES, my father’s side, and the GODBILLONS, on my mother’s side, began by growing grapes. Just like the generations before them, they sold all their crop to the big and famous champagne houses. Was it a passion? Maybe... but more than anything else it was sheer hard work. As my grandmother used to say: ''we were often in the vineyards from 5 in the morning until 8 at night!". And the children would join them to help after school. A reason for living? Most probably... With the ultimate objective being the honour of buying a plot of vines as soon as they were able to. In 1947, shortly after returning from the war, they began a new adventure: producing and marketing champagne under the names LACOURTE-LABASSE and GODBILLON-MARIE. They were soon filling their customers' car boots with bulk orders! The first harvest from my parents was 1968. They gradually set up their business and established the LACOURTE-GODBILLON brand. At first it was no more than a few thousand bottles. Bottling and disgorgement would be done at the back of a courtyard... But the most important thing was my father's understanding that the best champagne was made only from top quality work in the vineyard. His whole career was dedicated to this ethos. Richard and I took the big step in 2006 when we left our executive city jobs to come back to the vineyard of our home. This new wine making life has been a total revelation! The PREMIER CRU village of Écueil is situated on the western flank of the "petite Montagne de Reims". Our 20.5 acres of vineyards is planted 85% to Pinot Noir and 15% to Chardonnay, all of it in Écueil except for just 1.2 acres in the neighbouring village of Les Mesneux. Our vines have an average age of 30 years. Winemakers from all over the Montagne district have long bought Pinot Noir vine plants from Écueil. There was even a school here where they could learn how to graft these stocks. Up until a few years ago we bought Pinot Noir plants from the local nursery. From now on, we will be implementing our own ''massal selection'' of the best plants for cuttings in our own parcels of vines, in order to preserve this heritage. This particular terroir is characterised by an incredibly diverse sub-soil. Some parts are predominantly sandy over the deep chalk, others composed of "sparnacian" clay and shallow chalk at the bottom of the hillsides, similar to the soils of Les Mesneux. The vine has a lot in common with Man: it needs to be watched and understood, educated and helped to thrive in the terroir it finds itself. Great viticulture expresses the essence of the place in the grapes. Our vineyards are worked exclusively by our own team, Jocelyne, Sébastien and Nicolas. In the winter we cultivate, ploughing to break up the soil and mow the grass between the vine rows to maintain and develop soil life. The use of pesticides, weedkillers and other anti-botrytis treatments are therefore unnecessary! Careful vine pruning controls the number of buds and shoots so that new growth is consistent and, most importantly, well spaced out. Debudding over four weeks in spring makes sure excess growth is removed before it can hinder the growing cycle. This stage is crucial as it allows us to fight against disease and limit yields naturally by prevention. Vine training is thus simpler and care is taken to separate out the shoots. This keeps the vine canopy well-aerated with no overcrowding of leaves or grape bunches. Only the highest quality grapes can produce a high quality wine! Our vision for the wine is simple, almost simplistic: It must be an expression of its terroir. The oak used for our barrels is sourced from the Écueil forest or from Champagne-Ardenne. Each plot is pressed and vinified separately and the juice is moved by gravity as far as possible and not pumped, to conserve the musts’ intrinsic qualities. Fermentations are temperature controlled and monitored daily. The wines stay in tank or barrel in contact with their lees deposits, without racking, for the whole autumn period, so they develop their full complexity and unique personality. For the wines made in oak barrels, no stirring or filtering is carried out. The chilling process then takes place... outside in the winter cold! The bottles are aged in our cellars for between 30 months and 7 years. This is followed by an average resting time of 3 to 6 months after the yeast deposits have been removed (disgorgement). The optimum "dosage" for each wine in each year, is decided by several trial tastings. Our objective is to find the best possible balance as each wine is a living being with its own character. Een Superfijne, elegante Rosé Champagne. 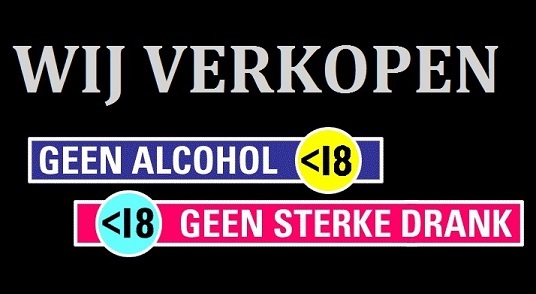 Klein rood fruit, verfijnde belletjes, sappige zuren, en een heerlijke frisse afdronk. Schoon, zuiver en licht verteerbaar. Wat een feest! Goud-gele kleur, intense aroma's van steen fruit, (mirabellen en pruimen) toast en brioche. Volle en intense aanzet, gevolgd door frisheid en prachtige citrus tonen. Lange, fijne afdronk. Goud-gele kleur. In de neus biscuit, fijn rijp fruit en een vleugje honing. Heel gebalanceerd, mooie florale tonen, fijne zuren, grapefruit en harmonieuze afdronk. Top champagne! De nieuwe topcuvée van Lacourte: een klein stukje wijngaard in Ecueil met 55 jaar oude pinot noir stokken, gevinifieerd op eiken houten vaten. Breed, complex en top!